The Dewan Law College, Meerut is one of the reputed law colleges in Uttar Pradesh. It was established in 2009. It offers Bachelors Courses in law discipline. The Bar Council of India accredits the Dewan Law College. First NAAC (NATIONAL ASSESSMENT AND ACCREDITATION COUNCIL) accredited self-finance Law College. 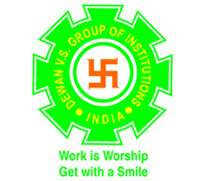 The Dewan Law College, Meerut provides quality education to students. It aims at promoting talent and creativity in students. The college library is supplied richly with numbers of magazines, books, and journals. Students are provided ample opportunity to get practical experience in law-practising. They have access to collections of case studies and research papers. There are separate hostels for boys and girls. Besides, there are modern laboratories, sports, research facilities, and clubs for students. Students should have completed 10+2 from a recognised board to become eligible for admission in the Dewan Law College, Meerut. An applicant belonging to the General or OBC Category should have an aggregate score of 45% marks to become eligible for admission. However, SC/ ST candidates are required to have at least 40% aggregate marks. A student should have completed any Bachelor's degree like B.A/ B.Sc./ B.Com or any other degree recognised by Chaudhary Charan Singh University. A student should have completed a Bachelor degree in Law (3 years or 5 years program) recognised by Chaudhary Charan Singh University. A student shall qualify the entrance exam conducted by C.C.S. University, Meerut. An applicant belonging to the General or OBC Category should have an aggregate score of 50% to become eligible for admission. However, SC/ ST candidates are required to have at least 48% after 3 years of LLB program or 45% after 5 years integrated program.